This section is about The Immovable Do(e). I put the E there as an indication of how you pronounce "Do" in this case. And no, it's not about a deer that wouldn't get out of the road. "DO" here refers fo the first note in a diatonic scale, as in DO-RE-MI-FA-SOL-LA-TI-DO. These are the same pitches that you would hear when playing the notes C,D,E,F,G,A,B,C on the piano. You don't now where C is. OK, look at the keyboard and notice there are alternating groups of 2 and 3 black keys. 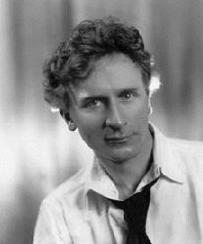 Any note to the left of a group of TWO keys is the pitch C.
The Immovable Do is a very clever piece by composer Percy Grainger. He lived around the turn of the 20th century and he was one of history's early joggers, although in England he would have been referred to as a "trotter." One day in 1933, he sat down at his harmonium and when he struck the high C note on the instrument, it became stuck and it wouldn't stop playing. He decided that it might be an interesting idea to write a piece of music where there is one high note that never ceases. The result was The Immovable Do, and you will note that one pitch persists as its relationship to all the other notes change around it. After you've heard this excerpt, we have another question to ponder, so Listen! Normally when we refer to solfege, that is, DO-RE-MI etc., DO refers to the TONIC or key of the piece itself. But in the music you've just heard, another of the syllables is the real tonic of the piece. The question is: which one? The tonic is actually FA. If you listen to the opening pitch of the piece and think of that as DO, FA will be the key. Get it? Don't worry. We'll approach this entire issue later on. Click here to return to initial page of site.